Prosthodontist: A dentist with special training in making replacements for missing teeth or other structures of the oral cavity to restore the patient's appearance, comfort, and/or health. Prosthodontists are dental specialists in the restoration and replacement of teeth. After completing four years of dental school, prosthodontists receive three years of specialized training in an American Dental Association (ADA) accredited graduate education program. Training and experience provide prosthodontists with the special understanding of the dynamics of the smile, the preservation of a healthy mouth, and the creation of tooth replacements. Serving as the "architect" of a dental treatment plan. Prosthodontists collaborate with, specialists and other health professionals to develop solutions to your dental concerns. Patients are often referred to a Prosthodontist due to the complexity of the treatment required. Am I practicing in a truthful and sincere manner? Am I fair to myself, my staff and my patients? Am I building goodwill and better relationships? Am I benefiting my patients? Would I perform the same treatment on my own family? Dr. Buskin completed his dental training in South Africa in 1988, after which he completed 2 years of military service. He then practiced as a general dentist until 1995, during that time he completed a Masters Degree in Dentistry. He completed Prosthodontic program at the Louisiana State University School of Dentistry and graduated in July 1998. He subsequently completed a one-year Fellowship program, at the L.S.U. School of Dentistry, in Advanced Implant and Esthetic dentistry. He is a visiting lecturer at Baylor College of Dentistry and has been in his current location since May 2001. His office is a state-of-the-art facility with the most current technology pertaining to his speciality. These include scanners for the creation of CAD-CAM prostheses as well as a digitized impression system. He has an in-house ceramics laboratory with a full-time Certified Dental Technician. He is a Board Certified Prosthodontist. He has published articles in multiple dental journals and has lectured nationally on Dental Implants and Dental Esthetics. He has also been consistently chosen by his peers as one of the Best Dentists in Dallas since 2003, and Super Dentist in Texas Monthly since 2006. 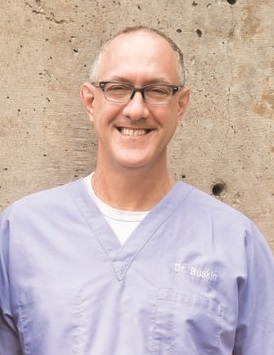 Dr. Buskin holds memberships in several professional organizations including the American College of Prosthodontics, The Academy of Osseointegration, The American Dental Association, Texas Dental Association, and the Dallas County Dental Society. More information about Dr. Buskin, his facility, results of treatment, and payment options can be obtained here. Check out Dallas Prosthodontics' clinic listing here! Read More About Rowan Buskin, B.D.S., M.S.C.